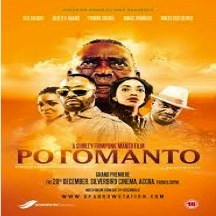 With a title derived from the French word Portmanteau, Potomanto is an action thriller following the tale of an ex-police officer’s mission to catch a cheating woman that turns fatal when he runs into young hustlers involved with organ harvesting. Adane, the ex-police officer, angry about being cheated on by his wife, has spent his retirement employing his skills to catch women who cheat on their men, but things take a different turn when he is hired by Bankola to investigate his girlfriend, Susan. Bankola spends his days running an ice cream company to launder the money from his human organ trafficking and harvesting ring. Little does he know, Susan is actually an INTERPOL agent that has been hired to investigate Bankola’s crime ring, and is gathering evidence for her handler, Desmond when Adane is thrown into the mix. Susan and Adane must team up, despite being on opposite sides of the law, in order to overthrow Bankola and save their own lives in the process. “Shirley, Leila Make Ghana Proud at AMAA.” Ghanaian Chronicle (Accra). (May 27, 2014 ): 139 words. LexisNexis Academic. Web. Date Accessed: 2015/11/22. VOURLIAS, CHRISTOPHER. “Filmmakers Give African Women IMAGE BOOST.” Variety (2015): 100-101. Film & Television Literature Index. Web. 22 Nov. 2015.